From the time a family caregiver takes over the responsibility of caring for an aging relative, there are hundreds of things they need to manage. At the top of the list is managing their elderly loved one’s health and wellness issues. From medication management and home safety to handling major emergencies, family caregivers have a lot to do to keep their aging relative safe and healthy. 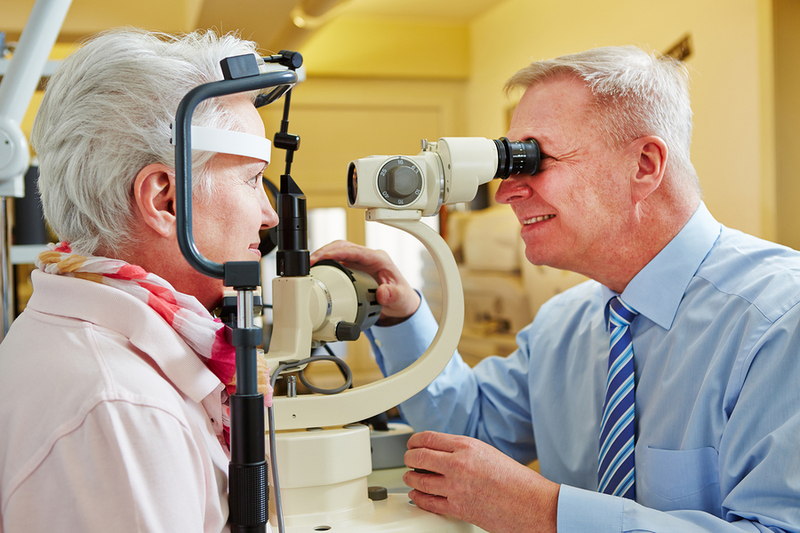 One area that is often overlooked in seniors is eye health. Do Seniors Really Need Regular Eye Exams? Just as a dentist maintains mouth health and a physician monitors the internal workings of the body, an eye doctor focuses on the eyes. It’s important for aging adults to have regular eye exams, at least once per year, to monitor eye health. Many family caregivers are not aware that elderly adults have an extremely high risk of developing eye diseases that can be quite serious if they are not treated properly. It’s more important than ever for family caregivers and elderly care providers to schedule a regular eye exam for the aging adult. Why Are Regular Eye Exams Difficult for Seniors to Attend? The first major obstacle to regular eye exams for seniors is a simple failure to schedule an appointment. Family caregivers are so busy that they often don’t think about it, especially if their aging relative is not complaining about their eyes. Other obstacles include physical limitations in the elderly adult that might make it hard for them to leave their home. Yet another obstacle is a lack of awareness for regular eye exams. Often, aging adults may believe that since their eyes feel fine and their glasses prescription hasn’t seemed to change that they don’t need an exam. Even though it can be difficult to get the elderly adult to the eye clinic, with the help of family members and elderly care providers, it must be a priority. Some of the most common eye diseases found in elderly adults include cataracts, glaucoma, dry eyes, diabetic retinopathy, and macular degeneration. Many of these diseases are extremely dangerous if left untreated, and can trigger headaches, blurred vision, reduced vision and eye strain. In many cases, several of these eye diseases can result in blindness. Early detection for eye disease goes a long way toward the successful management and treatment of the eyes. Aging adults may not notice anything is amiss with their eyes, but an eye doctor can spot the beginning stages via an eye exam before any symptoms are felt. This gives them a chance to start treatments and minimize the impact of any eye disease that develops. Everyone, including elderly adults, deserve to have the best vision possible, but that can only happen with a regular eye examination. Family caregivers and elderly care providers should set up an appointment at least annually if not sooner to give the eye doctor a chance to see what’s happening with the aging adult’s eyes and minimize the impact of any eye diseases.